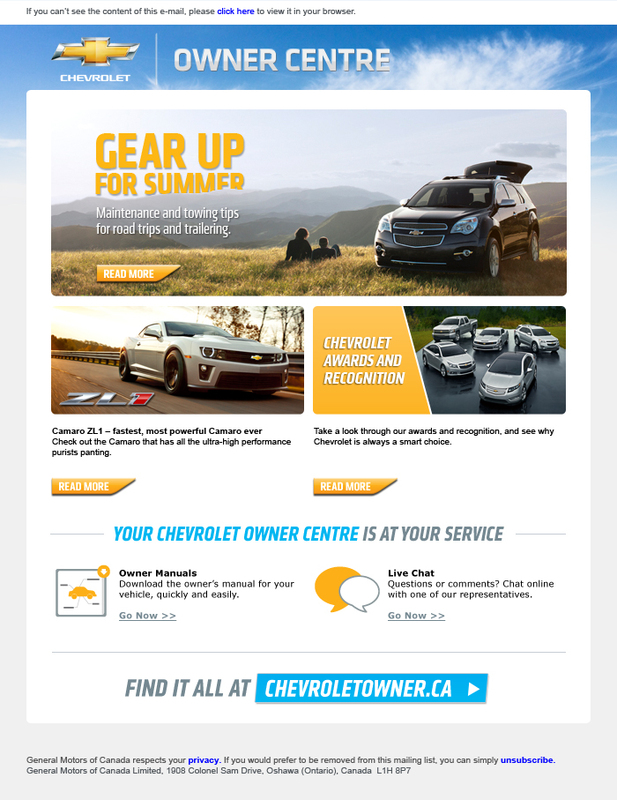 TON is a digital brand marketing tool for General Motors of Canada that builds loyalty and brand advocacy by providing personalized and targeted multi-channel communications to current Chevrolet and GMC truck owners in all phases of their life cycle via two websites: GMCTON.ca and ChevyTON.ca . 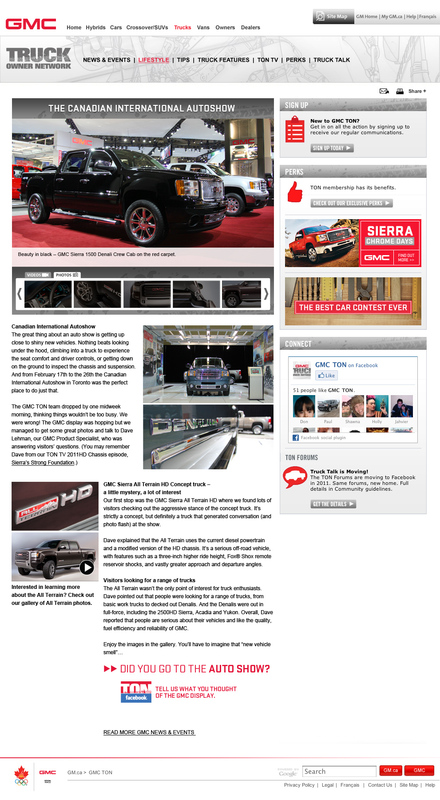 It also engages owners and truck enthusiasts through social media via Facebook.com/ChevyTON and Facebook.com/GMCTON. Emails announcing updates to the websites, as well as retail offers, contests, and more, are sent regularly to a network of 260,000 owners. TON provides relevant, interesting information to current and prospective owners and brings them into an engaged and active community. In addition to tools and vehicle information, the Owner Centre is a central GM owner hub with articles and videos that provide credible, relevant information related to GM vehicles including features, innovations, maintenance tips, and lifestyle information.